Winter has seemed to have settled in just nicely now here in Northern Japan. You know it is either going to be bitterly cold or snowing or both on any given day. I enjoy it! As I type it has started to snow again. I hope the first week of 2013 has treated you well and if not, eat some bread, with butter too!! This cold weather has us eating different soups daily this week. What goes better with soup then bread? I can’t think of anything else so I’ve been making different breads here daily! These rolls are pretty darn good! Incredibly simple to whip up too, especially if you use your bread machine and use the dough cycle! I enjoy making yeast breads/rolls in many different ways. 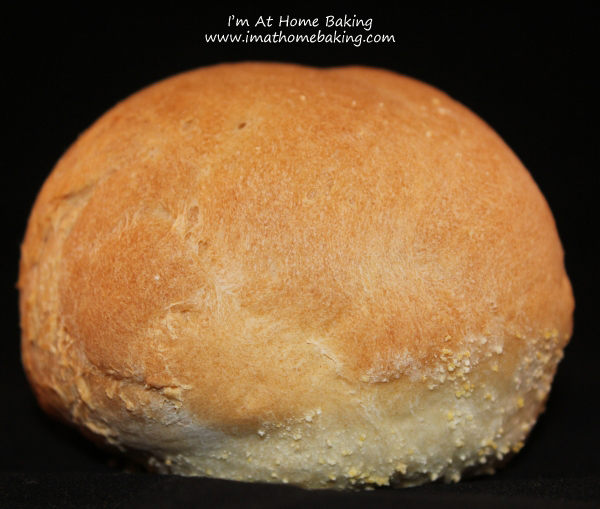 Some days the bread machine method is most easiest and if you are busy but want something tasty it is great to use. This is a great dough to work with and I am sure you could easily make it into baguettes as well if you desire. Do you enjoy making bread at home? If Using Your Bread Machine, Place All Ingredients In The Order Your Bread machine Says. Put On Dough Cycle. Then Continue On After Removing The Dough By Making It Into The Rounds. To the yeast mixture, add the oil, salt, and 2 cups flour. Stir in the remaining flour, ½ cup at a time, until the dough has pulled away from the sides of the bowl. Turn out onto a lightly floured surface, and knead until smooth and elastic, about 8 minutes. Lightly oil a large bowl, place the dough in the bowl, and turn to coat. Cover with a damp cloth, and let rise in a warm place until doubled in volume, about 1 hour. This recipe says to bake 18-20 minutes. PLEASE start keeping an eye on your rolls by 10 minutes. The first batch I made baked perfectly in 15 minutes. The second batch baked up in about 10 minutes and started to darken. So, please keep an eye as every oven is different! Also, when you lightly grease your cookie sheets, if you desire dust them with a little cornmeal. I do because I like the taste and the little extra crunch. LOL @ if the week’s not going well, eat some bread and butter too. I love this advice and shall take it at once. These rolls look delicious.